Mr. Mirosław Skonieczny, M. A. The commune of Piotrków Kujawski is situated in the southern part of the Kujawy and Pomerania Province and it is the part of the administrative district of Radziejów. The western part with the gutter of the Gopło lake enters into the depot of the Oder river-basin and eastern part with the gutter of the Głuszyńskie lake belongs to the river-basin of Vistula. The landscape of the area is low-lying. An only prevailing geographical element is the wavy plain with not very high morainal hills in the region of the Głuszyńskie lake and the Czarny Bród, where relative heights exceed 40 m. The commune of Piotrków Kujawski has the area of 139 sq km that is lived by 10170 inhabitants. The autonomy prosperously realizes appointed aims in the Strategy of the Development of the town and the community especially in the sphere of protection and to environment. The existing refinery of sewage lets on continuing of the extension of the grid of the health- sewers of what an example is devoted to the use the investment is sponsored at the participation of resources of the preaccession fund PHARE 2001. Within the work on of further arranging of the water-sewer economy in the year 2006 will be realized the project which obtained refinancing from the European Fund of the Regional Development. The network of roads is adapted to the needs of tourists and permits to reach into every beauty spot. However the local government makes everything to improve the quality of the existing road infrastructure. Completely modernized street lighting and road lightning influenced for the safety of inhabitants and visitors. On the area of the administrative unit appear two areas legally protected. They are: Nadgoplański the Park of the Millennium formed in 1967 with the access to the Gopło lake and the area of the Protected Landscape held in 1983 for close-fitting areas to the Głuszyńskie lake. These grounds mark the direction of the development of the tourism and farms agricultural tourism which assure the professional service and the guarantee of the good rest. Tourist attractions, beautiful spots, and the Kujawian hospitality as also the friendship of the people are our proposals for tourists from our country and from abroad. We are open and interested in partnership and cooperation with the cities and the communes of the European Union countries in spheres: municipal, economic and cultural. 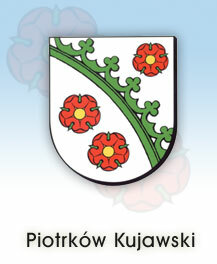 Licznik: 2005630 Administrator serwisu Piotrków Kujawski - Mirosław Czynsz.